Early parliamentary elections initially scheduled for next year have begun in Iceland, with the opposition Pirate Party likely to beat the current ruling party, polls show. Icelanders are heading to the polling stations on Saturday, with polls showing that the current ruling center-right party is tittering on the edge of falling behind the opposition, headed by the Pirate Party, AFP reported. 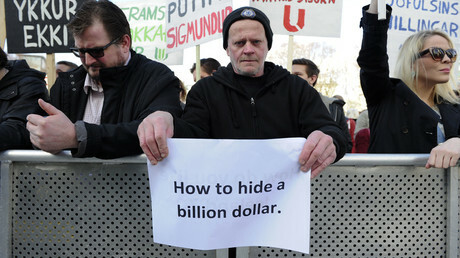 The shift might have been triggered by the 2008 financial meltdown and, to a greater extent, by this year’s international Panama Papers tax-dodging scandal that led to the largest anti-government protests in Iceland's history. This resulted in the resignation of Prime Minister Sigmundur David Gunnlaugsson in April, after it was revealed that he owned an off-shore firm along with his wife. Several other top politicians were also reportedly implicated in the tax evasion scandal. “It seems that they will stop at nothing. They are so openly corrupt. They are not even trying to hide it. These individuals feel like this [corruption] is actually OK, this is just the way the world works… That’s what infuriated people,” said Halldora Mogensen, a deputy MP of the Pirate Party, speaking to RT about the causes for such widespread support for what was previously a relatively unknown party. Three separate polls, released on Friday, gave up to 21 percent of the votes to the Pirate Party, and up to 16.8 percent to the Left-Green movement, while the current government is most likely to face failure, garnering 10 percent or less, according to the local Visir magazine. 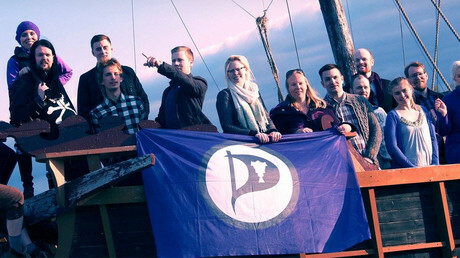 Iceland’s Pirate Party may form a coalition government with other opposition parties, including the Social Democratic Alliance and Bright Future, apart from the Left-Green Movement. The party, founded in 2012, calls for public transparency, institutional reform, individual freedom, and fighting corruption. Icelanders who are, however, not satisfied with the usual set of candidates, have an alternative – they can cast their vote for a dead man. The oldest running candidate from the Left-Green Movement, 92-year-old Jónsteinn Haraldsson, suddenly passed away on October 18. The deceased man has remained on the ballot list, following the wish of his family, a spokesperson for the Left-Green Movement said. Should Haraldsson be elected to parliament, the next person on the ballot will take his seat. The returns are to be announced shortly after polling stations close at 22:00 GMT. However, since no party is likely to secure the majority of votes, the final results will be known only after coalition negotiations are over. The Pirate Party could form a center-left government for only the second time since Iceland seceded from Denmark in 1944. Previously, a coalition of Social Democrats and Greens ruled between 2009-2014. The elections were initially supposed to take place in April 2017.